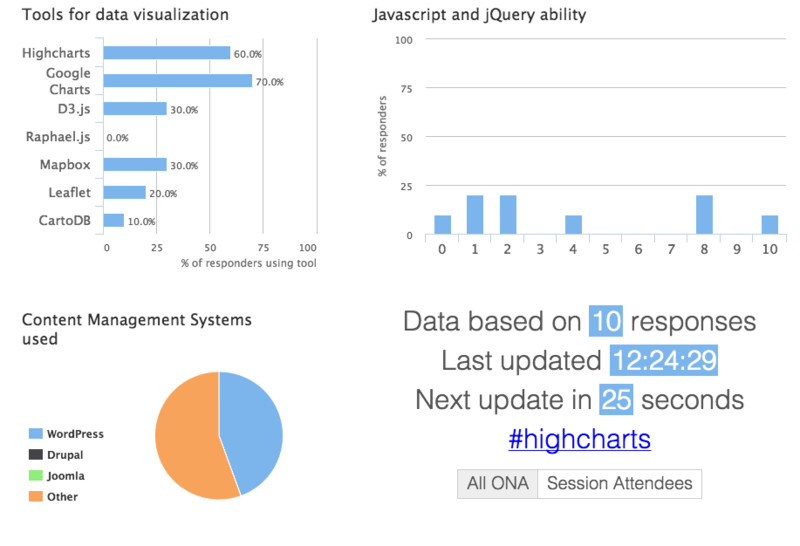 At ONA 14 I gave a presentation on using Highcharts for non-developers and novice developers. In order to make the presentation a little more engaging I developed an online poll which plotted the results in real time. Getting attendees to take the poll prior to the session proved difficult, but it did provide a nice visual aide to kick off the presentation – better than a title slide for certain. Sadly, I was scheduled against the most popular non-keynote of the conference. Still, I received some great feedback and hope to do it again.